Wait, China? Yes. 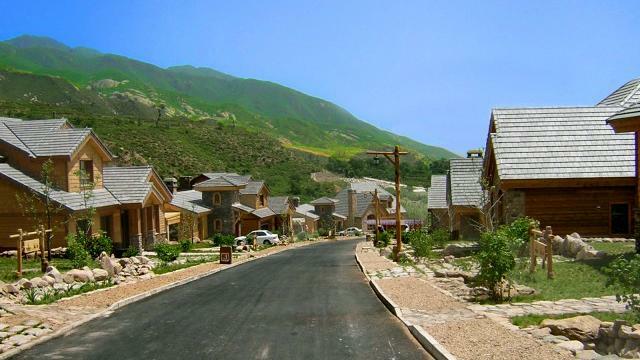 Walk down the streets of the new Jackson Hole resort community in the mountains north of Beijing and you might experience geographical whiplash. Both communities have rustic log lodges, antlers on the walls, worn wood floors—though in China, these were engineered to look old. So what’s the story? A few years ago Portland designer Allison Smith told me about a project she was working on. “I’ve been hired to recreate a Western resort town in China.” She said it quietly, almost as if she couldn’t believe it. But then she said Americans aren’t the only ones in love with the romantic ideal of the American West—the growing Chinese upper middle class is as well. So much so that she’d been hired to bring an authentic architectural feel to the resort in development in Asia. But she didn’t stop there. After the villas were built, Allison sent crates of antiques across the Pacific to furnish the homes. The results are pretty spectacular. You can learn more about the project on Allison’s site, and check out this story that delves deeper into the universal appeal of our frontier heritage.